Nothing makes the tremendous relapse that has taken place in the world since the First World War more apparent than the restriction of the personal freedom of movement of people and the reduction of their liberty. Before 1914 the Earth belonged to everyone. Everyone went where he wanted to go and stayed as long as he wanted to stay. There were no permits, no authorisations. I always enjoy the astonishment of young people when I tell them that before 1914 I travelled to India and America without owning a passport or ever having seen one. One got on and got off, without needing to ask permission or being questioned, one had not a single one of those hundreds of papers that are required today. There were no permits, no visas, no inconveniences; the same borders that have now been turned by customs officers, police and gendarme-posts into barbed wire enclosures as a result of the pathological distrust of everyone by everyone else were nothing more than symbolic lines which one could cross as unthinkingly as one crosses the Greenwich Meridian. It was only after the war that the destruction of the world by National Socialism began. The first visible phenomenon of this cultural epidemic of our times was xenophobia: the hatred or at least the fear of strangers. Everywhere one defended oneself against the foreigner, everywhere the foreigner was rejected. All the humiliations that one had formerly used against criminals were now applied to every traveller before and during a journey. One had to be photographed from right and left, in profile and full face, the hair trimmed short so that one can see the ears; one had to be fingerprinted, first only the thumb, then all ten fingers. In addition one had to present attestations, health certificates, innoculation certificates, police good-conduct certificates, written recommendations; one had to produce invitations and the addresses of relatives, supply moral and financial guarantees, fill in forms in triplicate and quadruplicate. When only one document from this pile was missing you were lost. Stefan Zweig (1881-1942), writing in 1941 in Die Welt von Gestern: Erinnerungen eines Europäers, Frankfurt am Main: Fischer-Taschenbuch-Verlag, 2010, p. 420f, translation FoS. 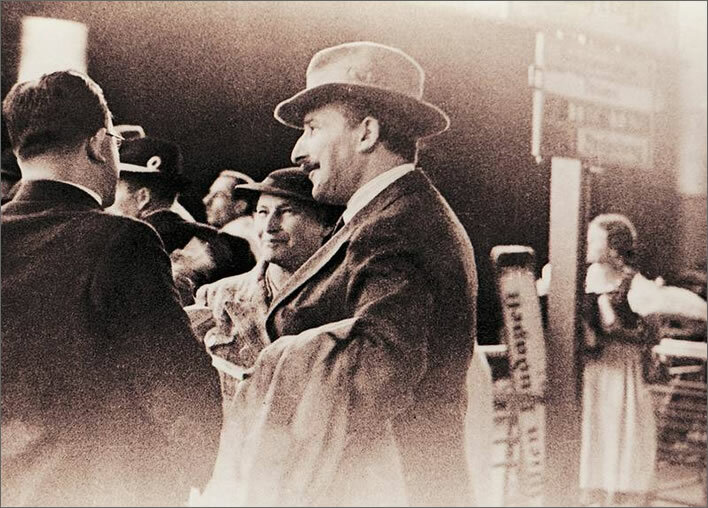 Restless travellers in a restless era: Friderike and Stefan Zweig on a station in the mid-1930s. Image: Stefan Zweig Centre Salzburg, Austria.